VACI2018: Thank You For Being Part Of Our Best VACI To Date! VACI2018 - Thank You For Being Part of Our Best VACI To Date! 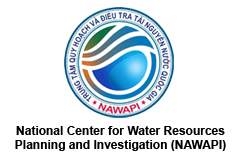 The Vietnam International Water Week-VACI2018, held on 3-7 March 2018 with 10-year anniversary of its host organization-National Central for Water Resources Planning and Investigation (NAWAPI), bringing series of some 100 exciting sessions including hot issues workshops, exhibitions, business meetings, training courses and social activities featured with its central theme “Water Partnership for Sustainable Development”. It saw US$ 500 million in total value for the announcements on planned water projects, tenders, investment and MOUs. The week attracted some two thousands of leaders, keynote speakers, participants and visitors from 30 countries spanning the government, development organizations, academics, companies, and media for discussion, exchange and networking. Water biz forum with its targeted programs such as water startup and innovative forum, donor consultative meeting, PPP forum, etc.. were also received high attention and appreciation from participants. VACI2018 starting with a special Vietnam traditional music show - Exploring local culture and people. To set the frame, a high-level plenary session themed “Water and SGDs” was discussed by thought leader panelists such as Mr. Nguyen Chi Cong - Deputy Director General of NAWAPI; Ms. Caitlin Wiesen - UNDP Country Director; Mr. Jake BRUNNER - IUCN, Country Director; Mr. Lars Ronnås - Swedish Ambassador for Climate Change; Mr. Perry Rivera - President and CEO of Manila Water Philippine Ventures and Asia Pacific; Thomas Panella - the Water Sector Advisor, the Asian Development Bank; Mr. Károly Kovács - President of European Water Association among others. Int. 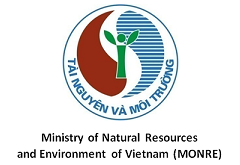 Training on practical topics for young water professionals in Vietnam and the region. For foster information sharing in more environmental-friendly means, the soft version of VACI2018's Proceedings, publications and presentations now are ready for downloading at "Downloads" of the event homepage. Thank you for your great contribution to the success of VACI2018 and we look forward to seeing you again at the next show of VACI on March 2019!